On September 17, 2018, Henry Street Settlement will open a permanent interactive exhibition, The House on Henry Street, in conjunction with its 125th anniversary celebration. The exhibit explores themes of social activism, urban poverty and public health through the lens of Henry Street and Lower East Side history. Visitors are welcome to the exhibit Mondays through Fridays, 10 a.m.–6 p.m. Visit our exhibit page (coming soon!) for selected evening and weekend hours. For those who can’t visit the brick-and-mortar exhibit in person, a virtual online tour of the exhibit will also launch on the 17th along with a historical walking tour of the fascinating and multiethnic neighborhood in which Henry Street resides. The National Endowment for the Humanities–funded exhibit illuminates the history of the Lower East Side and founding of Henry Street Settlement in 1893—a pivotal time in New York City and U.S. history. Featuring voices and images from the era, it examines waves of immigration and the challenges newcomers faced amid rapid industrialization and urban crowding. 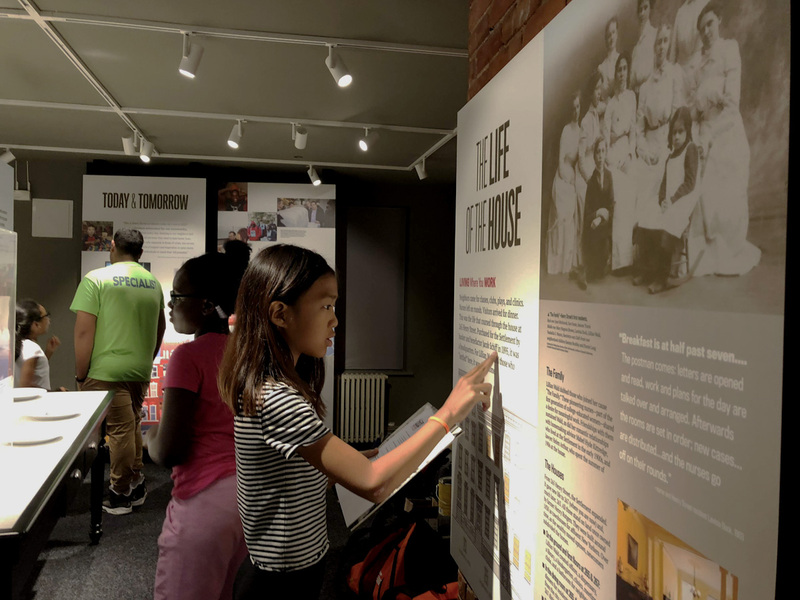 It also illustrates the settlement house movement and the revolutionary role of Henry Street founder Lillian Wald, who created the Settlement and the Visiting Nurse Service, recognizing the need to improve conditions in the workplace, the home, and the school. The House on Henry Street is made possible, in part, by a major grant from the National Endowment for the Humanities: Exploring the human endeavor.